Please join us in welcoming new Head Football Coach and Athletic Director Tyler Wynn. 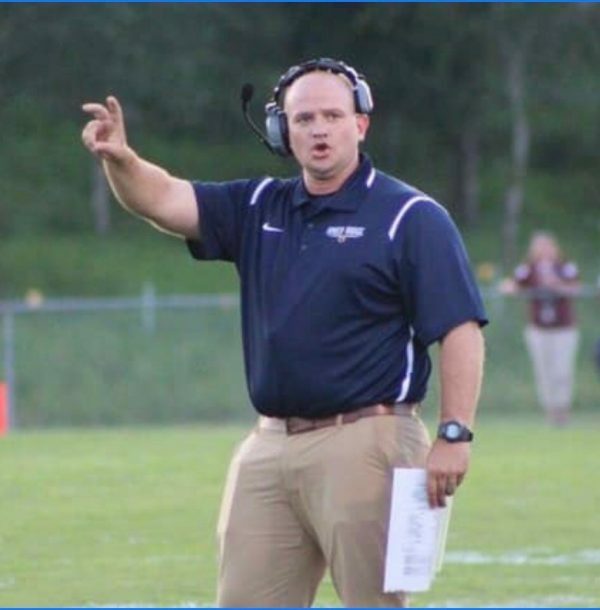 Coach Wynn spent the past 9 seasons at River Ridge HS, most recently serving as Head Coach for the past 4 seasons. Prior to coaching at River Ridge, Coach Wynn was on staff at his alma mater Troup County High School. He was a two sport athlete at Carson-Newman University where he received his bachelor’s degree in English Education. Most recently, Coach Wynn received his Master’s in Education with an Emphasis in Athletic Coaching from Northcentral University. Coach Wynn and his wife Brittany have 3 children – Austyn-Claire (6), Cam (5), and Dax (5 months).